PSP members discuss baby's fear of bathing! "I was wondering if and how people have found resolution to their toddler suddenly becoming afraid of the bath. We are still stuck in this weird phase. I have tried to be gentle, asking James if he would like to take a bath, having him put the toys in the bath, having him reach in and splash, etc. But he still refuses to sit in the bath. He is getting strong and my husband and I literally cannot make him sit down. So for the last week, I have been giving him quick wipe downs while he stands at the side of the tub. Last weekend, I took a bath with him, which went well, but I don't want to always do this. I am hesitant to buy any new 'equipment', as I fear it will be a waste of money. Any tips? Success stories? Thank you!" "My older daughter got over most of her issues once I figured out that she had developed a serious aversion to the sound of the tub filling. I could at least get her in the water if she arrived to a filled tub." "Also, once she learned the word "hot" she started yelling it at the bath tub every time she got in the room. It turns out what I thought was tepid was boiling to her. Once we started running it kind of frigid, she was willing to sit down again. She's almost four and she still prefers a cold bath run in advance of her getting in. So, those might be worth trying." "I don't have any advice to offer but only to share we have on/off being going through something similar. We can usually get our 15 month old Henry to eventually sit but then he cries so much, we make it a super quick bath. Guessing it's just a phase, like everything else." "How about bubbles? This may not work but may be worth a try. We do a bubble bath that comes with a bubble wand and you dip it in the solution and most of them land intact in the bath so it's really fun. Patrick tries to blow bubbles too but he can't just yet. It's California Baby bubble bath - we use overtired and cranky version." 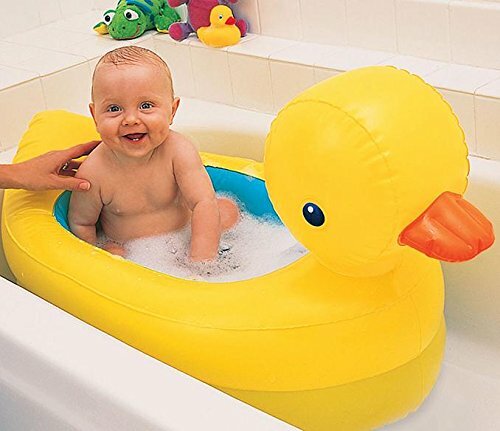 "I got this duck tub for V. (10 months) a month or two ago and it has changed bath time for us! It's such a comfortable space for her to sit and enjoy the water and it's more secure than the other tub I had for her. In regards to fears, don't stress out! It feels awful in the moment, but next week could bring something totally different so don't worry too much." 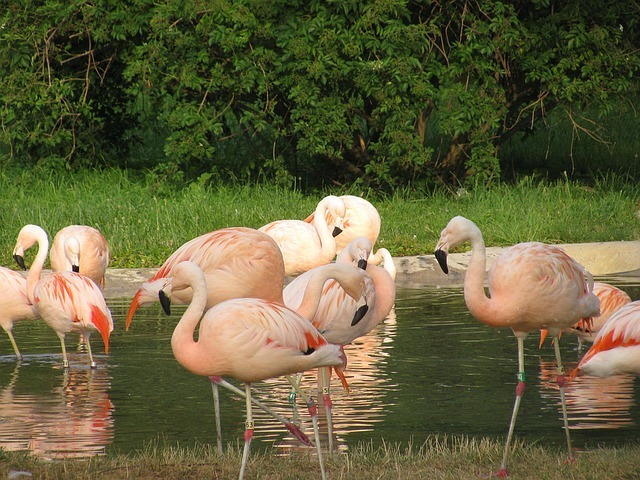 "Just to add to the suggestions, my daughter seemed to get over her fear of baths once the water features in the parks opened up and she started playing in those. She still doesn't love running water being poured over her, but she's much more comfortable in the tub." "We had a similar challenge with [our son] over the last month, and I can say that it seems to be getting a little better. After another bath refusal/fit while we were at my parent's house, we tried giving him a bath in their whirlpool tub, just because it looks different, to see if that would help. It seemed to...he was skeptical, but did not immediately want to get out or start whining. He didn't sit down at first, but he did start playing with the water faucets, since he could reach them in that tub, and that really distracted him. I let him play for awhile, and he got comfortable enough to sit down a couple of times really briefly. Was able to wash him standing up, while he played with the taps. I guess the only take away I can see is that changing the scene can help - so a different tub - or even try a big sink or kiddy pool or something to get him comfortable again? Or a different thing to play with? And maybe also playing around with filled/not filled, temperature, etc. etc. I guess they just get more aware at this age and more strong and often crazy preferences." "He still really doesn't like having his head or face washed...so we try to save that to the end, or not always do it, so that he doesn't associate the bath only with that. Any suggestions on washing toddler's hair/face are welcome!" "Just another option—what happens if you get IN the bathtub with him. When my daughter was going through this we also started giving her showers with us instead. They also like the control of holding the shower head (we have one on a hose). And so you know… this is fairly common and luckily kids grow out of it!" "I went through the same issue with [my child]. Before bath time was ok and then he hated it as well as any new faces, unknown people. I think this is a period they go through. Then from 9 months and a half he started to like the bath again. Not sure whether because he went out of this period of his life or whether the waterplay he did at nursery helped him feel more comfortable or other. But I think at around 8 months they have this kind of separation anxiety and become afraid of certain things/people , this then changed." "I think it's pretty normal since she probably just wants to move and explore. If I'm remembering correctly, [my son] started to try to climb out of his baby tub around 8 months or so. He wasn't sitting up on his own at the time so I wasn't eager to put him in the big tub but that's what we had to do since he would squrim to get out of the baby tub. At the time he was standing with support and could sit with support, so I just bathed him like that. It wasn't so much fun because he wanted to move but I couldn't leave him on his own. But by the time he was able to independently sit (for us 9.5 months), it was much easier for me and he now has a lot more independence and I let him do his thing with his bath toys so he's happy." "Thanks for all of your great advice. I have ordered a new non-slip mat and a set of alphabet bath toys so that James can stand in the bath if he pleases. I will also watch the temperature and continue to encourage him to play in the water features at the park. And as a last resort, I will sit on our new bath mat and take a bath with him, as this worked well at my mom's house. Thank you again for all of your ideas!" 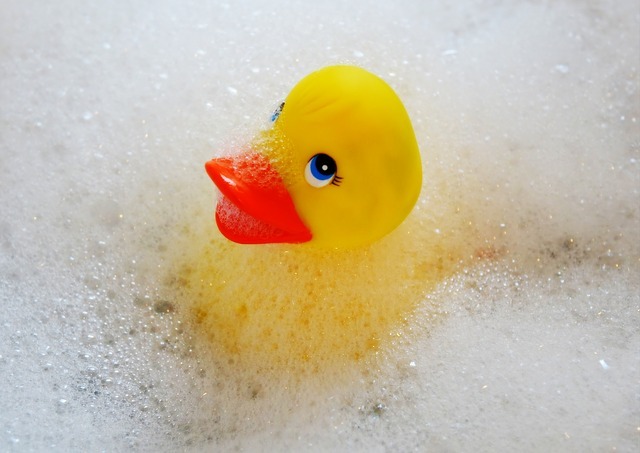 Bath time: How do wash your toddler's hair?